Our girls in English Schools FA U14s final! 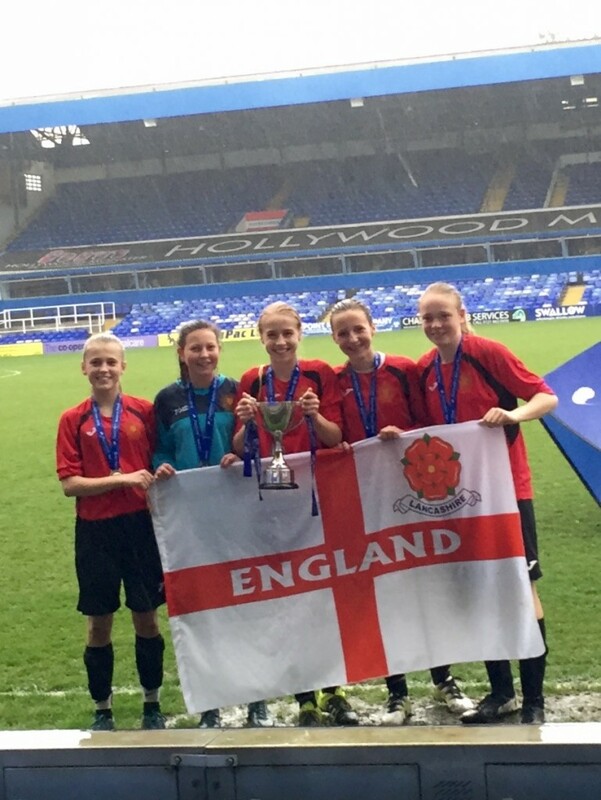 The English Schools Football Association U14s National Final was held on 10th May 2016 at St Andrews, Birmingham City FC. Lancashire was playing Essex. Congratulations to our girls who all contributed to a fantastic game, coming back from being 2-0 down to win 3-2 in the second half of extra time!